Fellowships support students to help address food system challenges. Diane Villalba, a 2017-18 GFI fellow, helps address fellow UC Santa Cruz students' basic needs through the CalFresh program. Camille Addleman uses UC Santa Cruz's campus gardens as a springboard for working with students on agroecology and food security issues. Bryan Montes helps improve systems for creating better student access to CalFresh benefits. Halie Kampman's graduate work focuses on improving nutrition through women's community gardens in The Gambia. Four UC Santa Cruz students will team with UCSC faculty and staff to address UC student food security, hands-on agroecology skills, and international nutrition issues as part of the UC Global Food Initiative’s fellowship program. The three undergraduates and one graduate student received $4,000 UC Global Food Initiative (GFI) Fellowships for the 2017–2018 academic year to support their work. Graduate student Halie Kampman, and undergraduates Camille Addleman, Bryan Montes, and Diane Villalba are part of a cohort of GFI Fellows from throughout the UC system working on to improve food access and food system sustainability, both at the campus level and beyond. Camille Addleman is an​ ​environmental studies​ ​​major with a passion for social justice and agroecology. 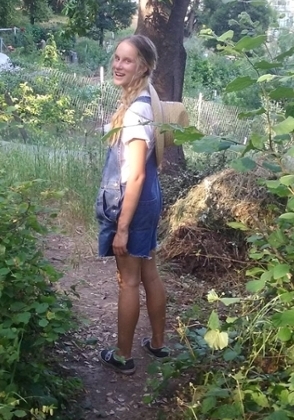 In her work managing one of UC Santa Cruz’s campus gardens, she addresses food insecurity providing students with hands-on experiences in agroecological methods. During her fellowship year she plans to expand on this work, creating a greenhouse propagation schedule and plan for all of the campus gardens, and supporting a student garden leadership network that incorporates ongoing student training opportunities. Bryan Montes is a second-year, first generation student pursuing a business management degree. He works with the Dean of Students as a CalFresh Intern, addressing food insecurities across campus by increasing student access to CalFresh benefits that help underwrite food costs. 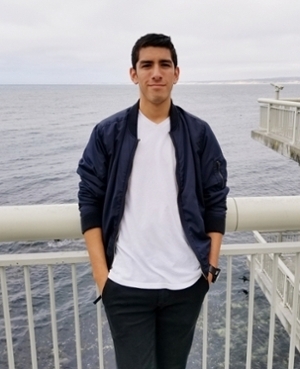 As a GFI fellow he will team with staff, faculty, and student peers to develop an outreach and enrollment strategy for CalFresh to support undergraduate and graduate student needs at UCSC. He plans to analyze the success of workshops, trainings, and other outreach efforts to help inform other campuses about the best ways to serve students through the CalFresh program. Diane Villalba is a second-year biochemistry and molecular biology major, minoring in sociology. She has worked with campus partners on helping meet students’ basic needs with an emphasis on improving CalFresh enrollment and services, work she will continue as a GFI fellow. Through her GFI Fellowship she will also be developing online and print communication and promotional tools to ensure students are aware of the many basic needs resources that are available to them. Halie Kampman is a PhD candidate in environmental studies, working on an international project aimed at reducing undernutrition by promoting high-nutrient crops in women’s community gardens. Her work currently focuses on The Gambia, where she studies the factors that contribute to consumption decisions. As a GFI fellow, she hopes to contribute to a better understanding of how nutritional benefits may be harnessed from women’s community gardens, while fostering a community of researchers who address both local and global hunger through a variety of lenses. 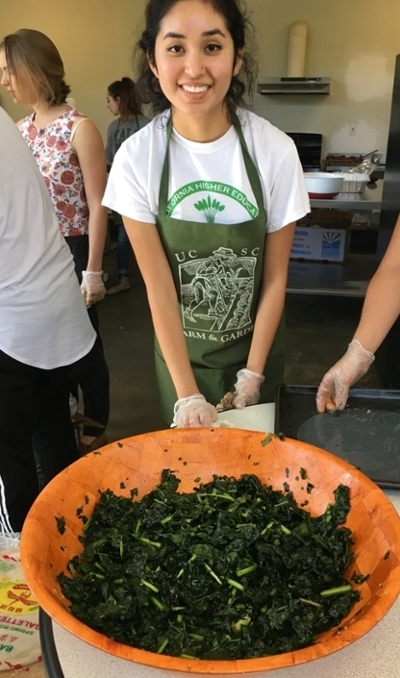 Learn more about the UC Global Food Initiative work at UC Santa Cruz and throughout the UC system.